MIAMI, USA // Michael McCullough’s role with the Miami HEAT could best be described as the “brand architect” for the club. Viewed as an extremely versatile and well-respected senior NBA business executive, he sports a 30-year track record of establishing new benchmarks and best practices for sports marketing and fan engagement while producing highly effective marketing, branding and results-oriented corporate partnership programs. McCullough oversees the Branding / Advertising / Promotion, Social Media, Retail Operations, Broadcasting, Creative Design, Content Generation and Monetization, Game Operations and Events, Community Affairs, Business Strategy and Analytics, HEATV, Digital Communications and Applications and Business Communications functions for the Miami HEAT and AmericanAirlines Arena. 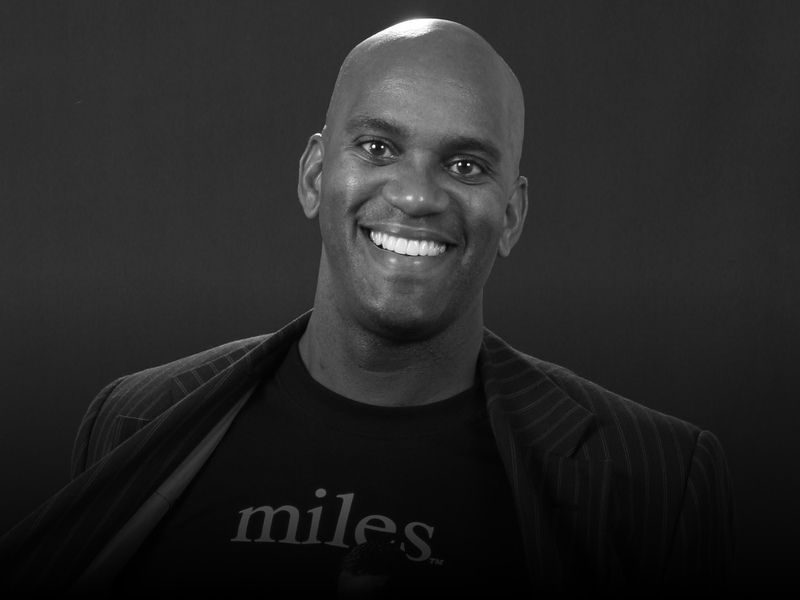 McCullough and his team revolutionized NBA Playoff marketing campaigns by being the first team to successfully implement the fan engagement focused color-themed Playoff promotional programs for the HEAT, starting with the “Back in Black” campaign during the 2004 NBA Playoffs. The next year saw the emergence of “The Red Zone,” followed by the “White Hot” campaign which ushered in the first championship for the Miami HEAT in 2006. “White Hot” remains the most successful and well-known such campaign among NBA franchises. We dig uniforms! Under McCullough’s watch, the HEAT has implemented the NBA’s most aggressive Team Uniform Program, including conceptualizing the “NBA Nickname Collection” uniform program, along with being the first NBA team to bring uniform design in-house, resulting in several new uniform designs, including the original “Home Strong” military-themed uniform, which, this season, will prominently feature the names of soldiers who made the ultimate sacrifice for our country. This unique uniform design capability, combined with our retail marketing operation, has generated millions of dollars in sales and earned the HEAT the reputation as the best retail operation in professional sports as evidenced by being named NBA Retailer of the Year in 2003, 2006, 2011, 2012, 2013 and 2014. Let’s Get Digital! McCullough leads the HEAT Group’s digital communication platforms, including interacting with over 22 Million fans on social media and managing the content for the Miami HEAT App, which won the Webby Award for the Best Sports App for 2016. File under: Things I Never Thought I Would Get To Do In My Career: McCullough is the point-person for the HEAT Business Operations division for all Championship-related activities, including the design and distribution of the three HEAT Championship rings for players, staff and families, plus the creation of all Championship-related retail merchandise and sales strategies while maintaining responsibility for the design and execution of the Championship parades and celebrations. As “chief evangelist,” for the HEAT, McCullough guides and directs both internal and external brand communication and activation strategies, while acting as the “voice” of the franchise to employees and media alike, oftentimes assuming an alter ego personality to foster employee engagement. McCullough is also getting a crash course in all things eSports, as the point-person for the Miami HEAT in their relationship with Misfits GG and the upcoming team franchise in the new NBA2K League, which begins in the spring of 2018. Prior to joining The HEAT Group, McCullough was with the Sacramento Kings, where in five years he oversaw a marketing effort that led to 495 consecutive sold-out games. McCullough originally joined Sacramento in 1988, spending two seasons as the team’s director of broadcasting before accepting a similar position at the National Basketball Association in 1990, where he assisted teams in the production of game telecasts and played an integral role in national NBA broadcasts, as well as special event broadcasts like the NBA Draft and NBA All-Star Weekend activities. McCullough was a three-year starter for the Utah State Aggies basketball team (during the short-shorts era), and was fortunate enough to participate in the NCAA and NIT Tournaments before graduating in 1984 with a degree in political science. McCullough is the proud father of five children, all of whom are much smarter than he is. For “fun”, McCullough attends Boot Camp classes at 6:00am thrice weekly, and until recently, taught Spinning classes twice weekly for the past 10 years. He also enjoys meditation, reading and music…his Kindle and iPod (yeah, the old-school click wheel version), which contains nearly 17,000 songs, are constant companions, while his vinyl collection is on point, featuring multiple genres, with turntables both in the home and at work (Vinyl Friday’s is a thing! ).